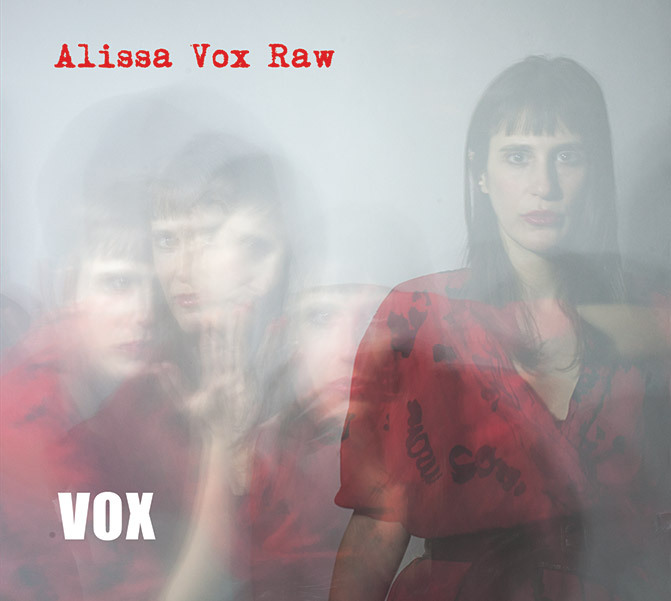 Though the album hinted at a few years ago hasn’t seen the light of day yet, the very busy Alissa Klug has finally unleashed her a cappella goodness as Alissa Vox Raw with an EP. Vox sees the sound engineer by trade creating a mini-choir with just her own voice, and touching on a variety of genres. Her profession certainly helps with the EP—mixed by Harrison Fine and mastered by Karl Machat. There’s a great degree of control over the various harmonies and “instrumentals” that prevent her songs from ever becoming a cacophony. And it’s pleasingly varied, moving from soul to R&B to a Caribbean on the turn of a dime. The EP has some soulful bookending, so to speak. “Where I’m Going, I Don’t Know” and “Don’t Keep Me Waiting” both show that Klug has some major power in those pipes. Both feature some nice backing vocals and vocal percussion. The former song seems to be about the unclear path life lays out for somebody, while the latter is kind of an ultimatum—keep up or ship out. The other five songs see Klug experimenting a little more with pitch and genre, and the more she ventures off the beaten path the more exciting she becomes. “My Sweetheart” at first sounds like just a take on old-timely soul. And while that’s pleasant, with a bit more than a minute left the beat slows down and everything feels distorted—it’s a great twist. Then there’s “The Path,” which is a much slower build before any words are sung. It gives the song a more contemplative, almost spiritual atmosphere. And then “You See Me Coming” takes a left turn into R&B, with Klug’s “percussion” at its most pronounced. The crown jewel of the EP is undoubtedly “Don’t Ask Me Why,” which features wobbly vocalizations and hand claps to create a tropical atmosphere. Despite the relaxing setup, the lyrics about the struggles to make money and be happy are relateable to anyone.